We reached out to lead singer Adam Barter and he said, “I felt it was time to take a break and devote more time to my kids while they still want to hang out with me.” He also said he will continue to work on his solo music. 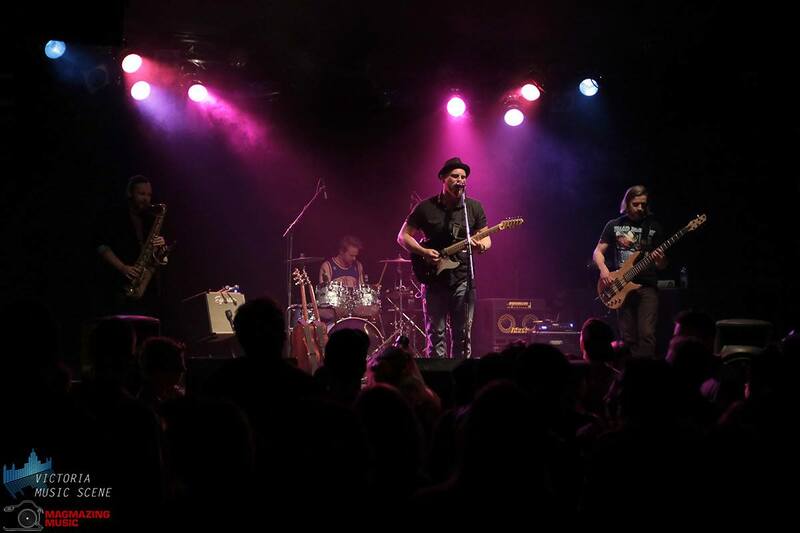 High Noon to Midnight have been a band for the last 6 years and were a staple at the Cowichan Valley’s Rock of The Woods music festival. In March of 2017 they were named a Zone Band of The Month. Their 5-song EP ‘Burn‘ was released a year later in April 2018. 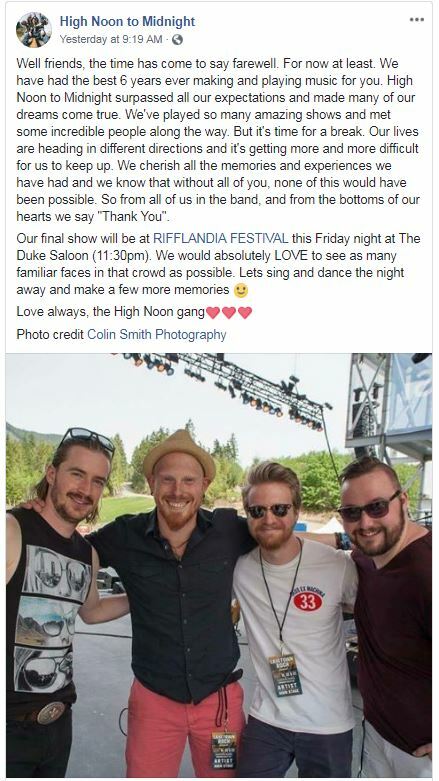 Their final show will be at The Duke Saloon for Rifflandia Friday September 14, 2018. Their set time is fittingly close to midnight from 11:30pm to 12:30am.